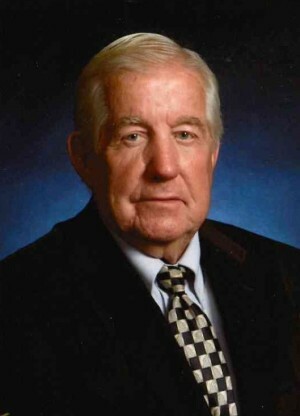 Obituary for John Robert Boyleston | Thompson Funeral Home, Inc.
Mr. John Robert Boyleston, 81 of Pine Hill Community, Orangeburg, passed away Sunday, March 24, 2019. Visitation will be held 6:00 to 8:00 PM Wednesday, March 27, 2019 at Thompson Funeral Home, Inc. in Orangeburg. Funeral Services will be 3:00 PM Thursday, March 28, 2019 at Double Branch Baptist Church in Orangeburg with burial in the church cemetery. He was born in Orangeburg County on September 7, 1937 to the late Serenus K. Boyleston and Lucy Raulerson Boyleston Davis. He was a graduate of Cope High School. He retired from the South Carolina Forestry Commission and was owner/operator of Orangeburg Aquaculture & FRP. He was a member of Double Branch Baptist Church where he served as Sunday School Teacher and Deacon. He was predeceased by sisters, Dorothy Bozard, Ruth Phillips, Kathleen Fanning, Emily Stubenrauch and Martha Boyleston. Survivors include his wife, Loretta O'Brien Boyleston; three sons, Steven W. (Diane) Boyleston of Orangeburg, R. Darrell (Judy) Boyleston, Norway, John G. Boyleston, Leesville; nine grandchildren, Brian (Marcee), Kevin, Chris (Audrey), Drew, Gatlin (Ashley), Riley, Abigail (Steven) Reynolds, Taylor (K.C.) Chol and Emily Boyleston; four great grandchildren, Hunter Boyleston, S.J. and Brennan Reynolds and Josiah Chol; and a brother, Richard Eugene Boyleston, Martinez, GA.
Pallbearers will be grandsons and Ron Phillips, Austin Williamson, Cecil Keitt and Kirk Keitt. In lieu of flowers, memorials may be made to Double Branch Baptist Church, 3567 Neeses Highway, Orangeburg, SC, 29115; Gideons International, P.O. Box 118, Orangeburg, 29116; or St. Jude Children's Research Hospital, 501 St. Jude Place, Memphis, TN 38105.